If you love walking, there are infinite walking routes with breathtaking views in Camprodon. So why don’t you become part of the 19 million people who visit Catalonia every year? For my work with Barcelona Eat Local, I have the opportunity to talk with hundred of international tourists every year. In this guide I’ve put together their absolute favourite 47 top trips outside Barcelona. Enjoy! Cadaques is probably the most popular destination in the summer, and one of the most beautiful coastal towns in the whole Mediterranean basin. It’s a 1 ½ hour drive from Barcelona and has a long history and charm linked to Mediterranean fishermen and Salvador Dali legacy. Walk along its streets, visit the art-nouveau building Casa Blaua, the old Roman wall, the art galleries that pop up in every corner and the late-gothic Santa Maria Church: the experience is really unique! You can also visit the Masia del Celler Martin Faixo, which is a family run wine bodega where you can taste amazing Catalan wines. A day trip from Barcelona to Sitges takes just 30 minutes by train. This seaside town is a popular destination all year long, a mecca for LGBT. In summer it gets very popular, there are miles of sandy beaches with crystal waters, an unbeatable nightlife and glamorous lifestyle, and quiet corners where you can find great places to eat tapas. Do not miss eating Arros a la Sitgetana, a local dish that has its origins in the XVII century, and that mixes the produce from the Mediterranean sea and the nearby mountains. Just take the main boulevard by the sea for a walk and look for a table at any of the restaurants in the area, you can’t go wrong in Sitges. the Ethnologic Park in Tagamanent. Get to Cànoves i Samalús and visit the Big chestnut tree of Can Cuch and the Vallforners Reservoir for a glimpse of nature, and eat like a local at Can Marc Restaurant which is located in a Catalan farmhouse that dates back to the 14th Century. This landlocked land between 600 and 1500 meters above the sea level has around 40 volcanoes and lava flows (both inactive) and gives sights to a rough landscape, which is contrasted by its northern side, full of narrow gorges and abrupt cliffs, and its valleys that are surrounded by the thickest and most extensive forests in Catalonia. The area in La Garrotxa is pack with theme parks for kids, such as La Fageda d’en Jorda and medieval towns. Locally known as Caldetes, this is one of the smallest beach towns in Catalonia and it’s very close to Barcelona. Due to its particular location, the town enjoys a fantastic weather all year round with long springs and mild summers. This place used to be the Barcelona aristocracy retreat spot, it has natural spring baths, a Picasso theme museum, and an amazing culinary offer. In summer locals organize plenty of music and food festivals. The Cap de Creus Natural Park is considered the “end” of the Costa Brava and is the place that will leave a lasting imprint on your travel memories. Rocks sculpted by wild winds, vertiginous cliffs, and hidden coves, plus never-ending forests and meadows. That’s it: a real connection with nature and close to amazing towns such as Llançà, La Selva de Mar, Cadaqués, Roses, Vilajuïga and Pau. Nestled in a cove, at this little charming town, you’ll enjoy history ~ do not miss the Benedictine Monastery of Sant Pol de Maresme, gastronomy ~ go for a romantic dinner at Restaurant Banys Luis, and a secluded beach ~ go to the northern side. All this 35 minutes away from Barcelona by car. Around 2 hours south drive from Barcelona you’ll find the largest wetland area of Catalonia. The Delta del Ebro is one of the largest wetland areas of Spain as well, with around 15.000 flamingo couples who reproduce each year at the park. This is a great area for sightseeing nature, and with few charming towns such as Poblenou del Delta with white houses and colored gardens or Punta del Fangar which is surrounded by sands. An enclave of seven small islands located close to the shore from the coastal town L’Estartit, the Medes Islands is a fantastic reserve of flora and marine species that you can access by canoe, and where snorkeling and scuba diving is a must thing. Make sure you book access with a certified company as the area is protected. Tossa de Mar is one of Costa Brava’s majestic towns, it has a walled old town by the sea that offers stunning views of the coast and in summer crystal clear waters that are perfect to swim. This town is one of the favorite spots by the sea of Marc Chagall, the famous French painter. He called it “Blue Paradise”. South of Barcelona (and close to Tarragona), Cala Fonda is one of the best-preserved beaches in the area, totally unspoiled, accessible only by foot through Platja Larga following a signposted path, by crossing a pine forest and few cliffs. The walk is definitely worth it! Locals call it Waikiki beach because of its paradisiac nature. A small charming village that will immediately captivate your soul. This is the place where Pablo Picasso spent some of his youth, and that inspired some of his work in relation to nature (remember the paintings with goats, shepherds, and village people?). Horta de Sant Joan has been declared a place of National Cultural Interest and its medieval feeling remain as it was a thousand years ago. The hiking route of Camino de Ronda is an ancient seaside path that goes along Costa Brava, its name comes from the fact that the national police use to take “rondas” (walks) around it to prevent smugglers bringing in illegal stuff. It’s a beautiful walk through breathtaking paths, beaches, and flora, and it’s open all year long. Dan Blystone from Barcelona Navigator recommends starting at La Fosca beach in Palamos to the town of Calella de Palafrugell – it’s one of the most spectacular walks along the Costa Brava. Catalonia´s holiest site can be reached by trains from Barcelona, and the charming Aeri de Montserrat cable car or the Montserrat rack railway that gets you to the monastery of Montserrat, up in the mountain. “Montserrat” literally means “saw mountain” in Catalan. The place is stunning, the views over the valley are beautiful, the basilica is magic and you can walk along several routes that have an old story like the Santa Cova, the place where a holy effigy of the virgin was found. After a day of sightseeing in Montserrat, a nice stop for foodies is the fantastic restaurant Cel·les Abat Marcet. Rupit i Pruit are two small medieval villages connected by a hanging bridge. This is a local’s favorite getaway from the bustling life of big cities, most of the houses date back to the 16th and 17th Century and are in perfect conditions; the area is great for romantic walks and hikes. Vicki wrote a great guide about visiting Rupit i Pruit. Protected by a stunning medieval castle against the attack of pirates back in the 16th century, Begur is the perfect place to uncover the history, written by coral collectors, fishermen, returned emigrants and cork makers, and enjoy the beautiful seaside of the Costa Brava. The easiest way to get to Begur is by car or public transport. Vic got its first inhabitants around 4 centuries B.C. and many cultures left their print there, and today is the capital of the Osona county. The central square hosts a traditional market celebrated every Tuesday and Saturday, surrounded by high porticos so people can cover from the rain and allow the passage of one man mounted on a horse. Nowadays the most famous sausage eaten in Catalonia is Fuet, which traditional production method is protected and has a designation of origin. Most producers are family businesses on their 6th generation. This beautiful valley is a unique mountain resort on the eastern side of the Pyrenees that has an old story. Back in the year 1000, shepherds found a carved image of the virgin, they tried to remove but it was impossible (the virgin wanted to stay at “Nuria”), so built a chapel that became a sanctuary. In 1931 a railway was built and the Vall d’Nuria resort developed, it’s a fantastic place to enjoy nature in summer and to ski in winter – no cars are allowed. Dating back to the 9th Century, Besalú is probably the medieval town in Catalonia that accumulates the richest history among all. Once independent, it was also part of France and conquered by the Moors. Some of the most important monasteries in the region were located in Besalú, like Sant Joan de les Abadesses, Santa María de Ripoll, Bañolas, Camprodón, and Sant Pau de Fenollet. Strategically located 900 meters above the sea level and above cliffs, this small town offers a laid-back atmosphere and a glimpse of what life look-like thousand years ago from the top of a rock. After being invaded by Romans and Arabs, Santa Pau’s interest grew due to its location as a stronghold, therefore the Castle and fortified walls constructed around. This town is granted protected heritage and artistic status due to its outstanding churches and fascinating arcaded buildings. This fine medieval town is perfect for wandering throughout the old streets and see Romanesque and Gothic buildings from the 13th and 14th century and to spot the plaque that marks the site of the legendary victory of St George (Sant Jordi for the locals) against the dragon. Don’t miss the Gothic church of Santa Maria with its ornate facade and the Els Jueus building which was once Catalonia’s parliament, visiting Montblanc is as charming as it sounds. Vine-growing and winemaking have been the main town’s occupation for the last 200 years, this is where all started when the Spanish Sparkling Wine, Cava, came to stay as a traditional drink for that long Catalan Sunday lunch meal. Just get to Sant Sadurni d’Anoia and pick your winery, you won’t be disappointed. Around the Montsant massif, known as the “holy mountain”, high-altitude vineyards surround the prestigious Priorat region and produce an amazing wine that has been recognized with a D.O..
Vines were introduced by the Romans thousands of years ago, and wine production continued with Catholic Monks in the middle ages. Rob from Homage to BCN recommends visiting the Carthusian Monastery, which is a beautiful setting where, with just a little imagination, you can picture the monks walking around! Priorat shares with Rioja the highest wine denomination in the country. The area is inconsistent as different type vines are cultivated in different altitudes and rainfall is erratic, and perhaps this glorious mystery is what makes these wines so powerful and complex. Visit Ferrer Bobet winery which is 1½ hour’s drive from Barcelona, close to Porrera to Falset (the capital of Priorat). Alella is one of the smallest and lesser-known Spanish wine regions, yet it has been on the map since the Romans days and brought their winemaking techniques, which you can still see in some wineries. The proximity to the sea gives that charming Mediterranean feel, and wines, especially whites, make the locals proud of their work. Walk around any Barcelona square on a Sunday at midday and you’ll spot locals enjoying “vermuteo”, a glass of artisan vermouth accompanied by some olives and chips. The vermut they drink is traditionally produced in Reus since the 19th Century, just a few kilometers south from the city, and where a Vermut Museum has opened the doors to the spirited souls. Agraïr al @sendomart @davidtorras @miliucalabuch el festival de rumba catalana que ens van donar i fer disfrutar i ballar al #museudelvermut Un èxit rotund, repetirem!!! Moltes gràcies a tots els asistents. @joantapias_reus #rumbacatalana #sabordegracia #airesderumba Faltaves tu @sicuscarbonell millora’t!!!!! The winemaking region of Emporda has a history linked to the Greeks who cultivated vines on the 6th century BC, followed by the Romans who started exporting wines to their empire and then left to monasteries that preserved this tradition throughout centuries. This is why wine lovers should visit the charming Sant Pere de Rodes and pick a winery at Emporda to taste the local wines. Located at Vilafranca del Penedes, the centre of one of the most important wines regions of Spain, the Vinseum is the place that will give you all the insights required to understand “wine” in this part of the world and to taste actually fantastic wines from Catalonia. Girona is easily accessible by train from Barcelona. It’s the perfect city escape for those who like the combination of old charm and a fascinating food scene. The city hosts El Celler de Can Roca (once considered the best restaurant in the world), one of the founders’ ice cream shop Rocambolesc (a mecca for dessert lovers) as well as plenty of other amazing places to eat in Girona. The city architecture is a glimpse of Catalan Gothic style architecture, and its stunning cathedral represents that pretty well. Do not miss the picturesque Cases de l´Onyar along the river, a line of colorful houses that everyone wants to portrait with its cameras. Getting to Figueres from Barcelona is very easy, just grab a train from Estacio de Sants and in 1 ½ hour you´ll be there. Figueres is a beautiful town where art lovers will find a continuation of the marvelous Modernist architecture founded by Antoni Gaudi in Barcelona. Take some time to visit the old 18th century Sant Ferran Castle, the Museu del Joguet, a beautiful little toys museum, and the world-renowned Teatre-Museu Dali which is a former theatre converted by Salvador Dali into a palace of surrealism – a perfect place to lose yourself. Get to Cap i Pota, a traditional restaurant that serves regional cuisine based on seasonal products. The former Roman enclave of Tarragona is just 40 minutes away from Barcelona by train. It’s a place full of history, culture and a trendy beach lifestyle. Visit the Roman ruins which include a colosseum, an aqueduct and the amphitheater that overlooks the sea; the Balcon Mediterraneo and its gothic style cathedral. In the afternoon head to El Serrallo, a typical fisherman´s Barri where fish is auctioned and where each restaurant serves the best of the Catalan gastronomy´s sea produce. Another short trip from Barcelona is Colonia Güell, just a 20 minutes ride by train, it ‘s Gaudi´s last big project and entrepreneurial and sociological experiment for which he only finished the crypt of the church. Visitors can walk around and be delighted by the singular shape of the modernist buildings with a prominent use of brick walls and ceramics. Each Saturday morning farmers from the Baix Llobregat gather here and sell fresh local products to visitors and locals alike. The most important city of inner Catalonia, Lleida, is pack with cultural buzz and has an important heritage to discover such as La Seu Vella, La Paeria Palace or the Gothic Hospital de Santa Maria, plus a genuine offer for local gastronomy. Just go for a pot of Cargol a la llauna (snails) and eat like a local. Literally, a step away from France (the border is 2 km far), Puigcerda is a little enclave that dates back to the 12th century, and that has historically been the hangout paradise for the wealthy families of Barcelona and Girona. Nowadays, the town is a friendly spot for hikers in summer and skiers in winter as a dozen ski resorts are located around it. This tiny landlocked state is believed to be founded by Charlemagne, and is the sixth smallest state in Europe and receive the same amounts of tourists as Barcelona due to its fantastic nature for hikers and skiers. Going to Andorra is all about making reality your “mountain dream”. In case you are looking for a mix of old history, the magic of the Pyrenees and its fantastic artisan cheeses, or enjoying adrenaline related activities in summer or winter, La Seu d’Urgell is the place to go. When in Barcelona, there’s a place where the locals escape from their city life. 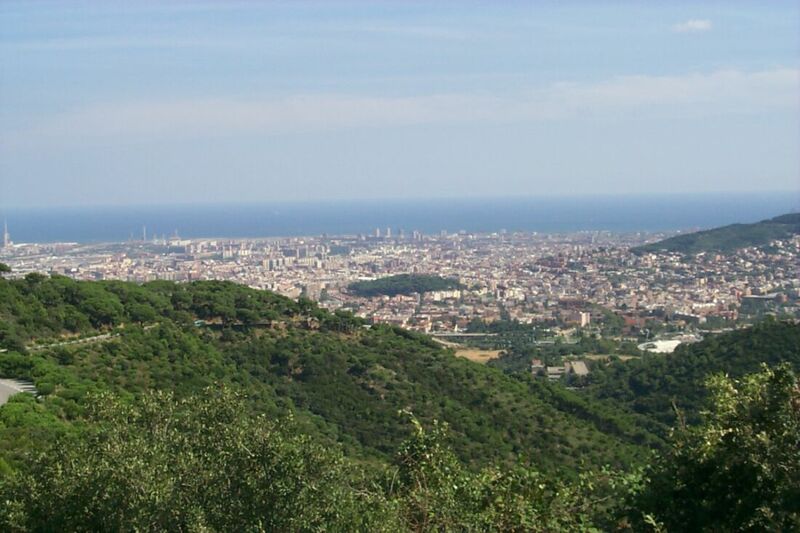 You just need to get to the Baixador de Vallvidrera train station, and head to Parc de Collserola. There are different routes to take for bikers and walkers, and the easiest way to find yours is to grab a map from the Information Center just off the train station. Tip: along the routes in Collserola Park, there are hidden farmhouse-style restaurants that serve Barcelona traditional foods. This is one of the best areas to ski in the Pyrenees, in winter snow lovers head to Baqueira-Beret in long lines, but the Val d’Aran has much more than snow, haute-cuisine, activities for kids. The Aran Park is great for nature sightseeing, and lakes to escape the summer crowds that invade the coast. The Catalan Pyrenees is a magical territory, surrounded by mysterious legends of nymphs, giants and all kinds of mythological beings, which offers children an endless range of possibilities. La Fageda D’en Jorda Natural Reserve is the place to take the little ones for a trip out of Barcelona. A walk through the enchanted beech forest and a visit to a farm will make much more of a day to them. Just a couple of hours drive from Barcelona, La Molina, the oldest ski resort in Spain is a perfect escape in winter for those looking the snow-adventure literally under the Mediterranean sun. Pretty much unknown to tourists, the 7 Gorgs of Campdevanol can be reached by a beautiful route surrounded by only nature and forests. This is a peaceful and recharging place, where a well-deserved bath beneath the waterfalls awaits after your hike. Camprodon is a small and charming medieval town that also gives the name to the valley which has an infinite number of routes for nature and history lovers. One of the most famous routes is the Route of Tregura’s Channel and the Catllar Valley, it lasts around 3 hours and can be enjoyed all year long, hikers love the breathtaking views of the valley. You can also follow the Route of the Saints, the Architectural Route, the Route of the Fountains, the Ascension to Bastiments, the Path of the Coma de l’Orri and many more walking paths for the Camprodon Valley. Awarded as a tourist benchmark and one of the most villages in Spain, Castellar de n’Hug is located at the heart of the “Moixeró” Natural Park. Due to its high altitude you should get there early morning when sun rays illuminate the Pedraforca peak, the views are wonderful and then stroll around the historical center to visit the Cement Museum and the Artigas Gardens designed by Antoni Gaudi. Close to the wine regions Conca de Barberà and Priorat, this charming locality with only 200 inhabitants is the perfect spot to uncover an area full of marvelous nature. The most famous route in the area is the Set River Route, that follows the birth of the river in San Miguel de la Tosca and goes along 36 km full of natural beauties. Empezamos la semana con un fantástico desayuno con @tomascusine en sus viñedos de #ElVilosell degustando sus grandes vinos: La Serra del Vent, Finca Racons, Finca Barqueres y Comabarra. In case you are into photographing nature, getting a glimpse of medieval history and a challenging hike, Dayana Aleksandrova from Matador Network recommends going to Sant Miquel del Fai, just 50 km from Barcelona. It’s the perfect spot for a day trip that involves hiking an area that features the only Romanesque chapel in Catalonia built inside a grotto, rocky outcrops, and waterfalls along the way, and amazing views over the leafy Vall del Trenes. Ben Holbrook from Driftwood Journals travel guide recommends visiting the historic village of Castellfollit de la Roca, which is perched perilously on a cliffside and looks like a scene straight out of Game of Thrones. I hope you enjoyed these 47-day trips from Barcelona. I know the list is long, but taking just a couple of one-day trips will be enough to get to know the Catalonian culture! Every trip in this guide plotted on a one-page map. Click here to download the Barcelona One-Day Trip Map.